Italiaoutdoors Food and Wine introduces five bike tours in the Dolomites starting this spring that showcase outdoor recreational grandeur and gastronomy of Northeastern Italy. The new six-night tours are: “Train Like a Local” departing May 26 and September 1; “The Agony and the Ecstasy” departing June 9; and “The Classic Climbs” departing July 7 and September 8. Rates start at $3,695, per person, based on double occupancy and include accommodations, all ground transportation, guide services, all breakfasts and three dinners. A 15% discount is offered on the September 8 tour if both tours in September are booked. “Train Like a Local” tour– May 26 – June 1; and September 1-7, 2013: Focusing on the “mid-mountains” with climbs ranging between 900 and 1700 meters, this tour explores the foothills south of the Dolomites, an area widely considered the preferred training ground for local and race teams. An ideal introduction to riding in the mountains, the “Train Like a Local” tour prepares cyclists for more challenging ascents in the upper elevations of the Dolomites and the Alps. “The Agony and the Ecstasy” tour – June 9 – 15, 2013: Comprising the hardest climbs in northeast Italy (those rated at the 200-point difficulty level), the aptly named “Agony and Ecstasy” tour is designed for cyclists who have trained hard and are ready to embrace the most difficult climbs the Dolomites can offer. This tour takes guests on epic climbs through the regions of Veneto, Trentino-Alto Adige and Friuli Venezia, with stops to sample and savor local delicacies such as prosciutto, homemade gnocchi and grappa. “The Classic Climbs” tour – July 7 – 13; and September 8-4, 2013: “The Classic Climbs” traces a path through the heart of the Dolomites, combining little-known passes with the renowned and rigorous bike climbs that have made the region a sought-after destination for cyclists. While exploring the Dolomites the way locals do, riders will have opportunities to experience the blend of Italian and Austrian/Germanic cultures that define this picturesque region. Led by expert cyclist and mountain guide Vernon McClure, and cooking instructor and chef Kathy Bechtel, also an avid biker, Italiaoutdoors Food and Wine cycling tours introduce both new and accomplished cyclists to the spectacular Dolomites region, taking care to sample regional cuisine and discover local wines unknown beyond the area. Daily coaching and challenging climbs are interspersed with opportunities to explore off-the-beaten-path towns such as Rovereto, an ancient fortress town; Conegliano, the heart of the Prosecco DOCG zone; and Bassano del Grappa, for a grappa tasting. For more information or to receive Italiaoutdoors Food and Wine newsletter, recipes and wine information, visit http://www.italiaoutdoorsfoodandwine.com or Chef Kathy Bechtel’s blog at http://www.chefbikeski.com. Italiaoutdoors Food and Wine is an owner-operated private guide service, creating and guiding active culinary tours in Northeastern Italy. Unique in their ability to combine active biking, skiing and hiking adventures with world-class culinary programs — including tours with James Beard award-winning chefs — Italiaoutdoors customizes vacations for groups of 4 to 12 people. Italiaoutdoors has more than 15 years of recreational programming experience in the region, plus formal culinary and wine training. Programs also include cooking classes, wine tastings, and restaurant dining which explore the best in local regional cuisine and undiscovered wines. Itineraries are rounded out with city visits, shopping, cultural excursions or just relaxing. The owners — experts in fitness, food, and the region — personally lead each tour. http://www.italiaoutdoorsfoodandwine.com, 978-270-5774. Twitter @italiaoutdoors. Facebook http://www.facebook.com/foodandwineitaliaoutdoors. The Mayan calendar ends this December 21, and now travelers can ride to the heart of the intrigue of this once-in-a-lifetime event and its local celebrations. Bike Mexico’s Mayan Riviera while exploring local culture, natural wonders, and ancient archaeological sites on a multi-sport adventure. © 2012 Karen Rubin/news-photos-features.com. Apocalypse soon? According to some interpretations of the Mayan calendar, the world will end on December 21. Travelers can ride to the heart of the intrigue—and experience once-in-a-lifetime celebrations—during the “Riviera Maya Bike Adventure: End of the World Edition,” departing December 15, 2012. Bike Mexico’s Yucatan Peninsula while exploring Mayan history, local culture, and rich ecological attractions, with convenient booking and payment through BikeToursDirect. Mayan prophecy foretells that 2012 will bring the end of the world as we know it, or perhaps the beginning of a new cycle – an era of heightened awareness. These varied interpretations will be discussed and Mayan culture explored during this special edition Mexico bike tour, adapted from the popular Riviera Maya Cycling Adventure program. “Riviera Maya is a fantastic region to visit any time for its white-sand beaches, delicious food, archeological sites, and friendly people, but this December will be a unique time of celebration. 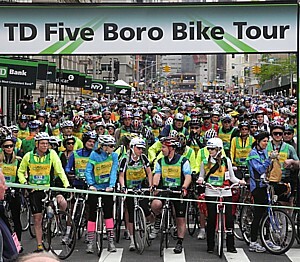 Travelers will be able to enjoy local flavor and customs at the many festivals and ceremonies marking this long-anticipated date,” said Jim Johnson, president of BikeToursDirect. Starting December 15, 2012, this Mexico bike tour has a multi-sport itinerary, including cycling the Yucatan Peninsula from the jungle to the thatched-roof villages of the contemporary Mayan World. Travelers will explore the prominent archaeological sites of Tulum, Coba, Chichen Itza and Muyil as each of these ancient cities’ history and mysteries are discovered. 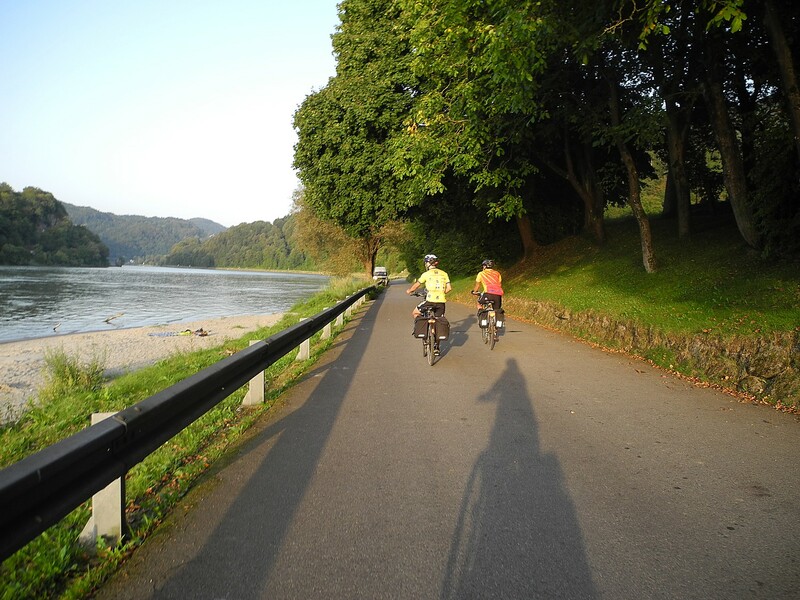 Guided by local ecologists, guests will cycle through this tropical paradise, averaging a leisurely 30 miles per day. Beyond cycling, this multi-sport adventure also includes hiking (including a crocodile-watching night hike), kayaking, swimming and snorkeling. Travelers will explore the 1.6 million-acre Sian Ka’an Biosphere Reserve and snorkel in the world’s second largest coral reef. 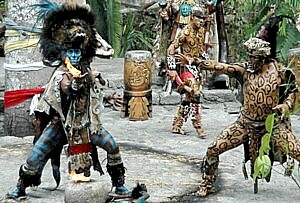 Educational evening programs will include lectures on ecology, Mayan culture and the Mayan calendar. Guests are encouraged to discuss their thoughts and interpretations of ancient Mayan beliefs and will also experience a Mayan purification ritual. “The end of the world, or the start of a new cycle, is an opportunity to evaluate what’s most important in life. Our guides and lecturers hope to evoke this kind of reflection as guests explore the history, culture, and natural wonders of the Yucatan,” said Kenneth Johnson of Cancun-based trip operator EcoColors Tours. Land cost starts at $1,515 and includes accommodations, most meals, cycling equipment, bilingual guides and entrance fees for all non-cycling activities. Airfare to Cancun must be booked separately. For travelers unable to join the “End of the World Edition,” additional departures of the similar Riviera Maya Bike Adventure are available, including a special edition family tour in February 2013. 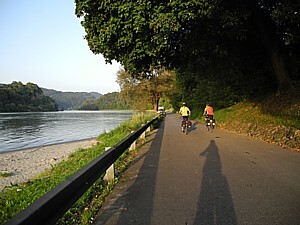 For more information or to book a tour, visit biketoursdirect.com or call (877) 462-2423 or (423) 756-8907. BikeToursDirect serves as a central resource for bicycle tours around the world, representing 75 tour companies that offer more than 300 tours in 60 countries throughout Europe, Asia, Africa, Australia and North America. BikeToursDirect offers a variety of resources to help travelers search for and choose tours and handles the entire booking and payment process. BikeToursDirect is expanding its tour offerings to its fifth continent, adding Mexico to its tour roster, its first North American destination. Following meetings last week at the Adventure Travel World Summit in Chiapas, Mexico, BikeToursDirect reached an agreement to represent EcoColors Tours, a Cancun-based tour operator. Tours will be priced starting at about $1,500, including one week of lodging, dinners, professional guides, van support, transfers, sightseeing tours, admissions and other services. Partial proceeds from each tour go to local Mayan communities. Riviera Maya Bike Adventure, which takes cyclists across the Yucatan peninsula from the jungle to the Caribbean and explores Mayan archaeological sites and natural wonders hidden in Mexico’s second largest national park, the Sian ka’an Biosphere Reserve. Tour dates: January 7, March 18 and November 4. Yucatan Bike Adventure, which winds along the Yucatan Peninsula and spotlights contemporary Mayan villages, ancient pyramids, archaeological sites and Mexico’s second largest national park, the Sian ka’an Biosphere Reserve. Tour dates: February 19, April 8 and October 7. Oaxaca Bike Adventure, which winds through villages with colonial-era structures and explores archaeological and historic sites, including Monte Alban, Santo Domingo Church, El Tule tree and petrified waterfalls in the mountains. Tour date: September 2. Chiapas Bike Adventure, a journey through the tropical rainforest of Chiapas, the most biodiverse state of Mexico, which features unique waterfalls, lagoons, canyons and mountains, as well as the amazing archaeological sites of the Olmec (first prehistoric culture) and the Maya: Palenque and Comalcalco. Tour dates: April 22 and September 23. Each tour also features authentic Mexican cuisine and offers a variety of side excursions, including guided naturalist hikes, kayaking, boat tours and snorkeling on the world’s second longest coral reef—all geared at providing an opportunity to explore the unique and diverse ecosystems of Mexico. “The primary mission of EcoColors is preservation: to protect and preserve the unique ecosystems in Mexico and combine this with ecotourism. Our goal is to amaze our travelers while giving them the opportunity to explore the ecosystems in an informed and safe manner,” says Kenneth Johnson. Entering its ninth season, BikeToursDirect represents over 50 tour companies worldwide and offers more than 200 bicycle tours in Europe, Asia, Africa, Australia and North America. Unlike many companies, BikeToursDirect doesn’t operate tours but instead represents overseas companies that can keep their tour prices down due to the lower cost of doing business close to home and to spreading their expenses over a large client base. Clients book tours and make all payments through BikeToursDirect, usually at the same prices charged by the tour companies. BikeToursDirect will add the Mexico tours to its new website in early December. Interested travelers can contact BikeToursDirect to be alerted when the new tours are online. BikeToursDirect, entering its ninth season, serves as a central resource for bicycle tours in Europe, representing more than 50 tour companies that offer more than 200 tours in 35 European countries, and is currently expanding to Asia, Africa, Australia and North America. BikeToursDirect offers a variety of resources to help travelers choose tours and handles the entire booking and payment process. Learn more at www.biketoursdirect.com. Telephone: 1-877-462-2423 or 1-423-756-8907. Email: info@biketoursdirect.com. Although a winter chill will cover much of Europe by December, there are still several options for travelers interested in overseas bicycle touring during the winter months. BikeToursDirect offers 25 tours with December-February departures in southern Europe, South Africa, New Zealand, Egypt, Vietnam, Thailand and the Islands of Seychelles. Offering fourteen bicycle tours in southern Europe with winter departures, BikeToursDirect provides cycle tourists with a variety of destinations to choose from in France, Italy and Spain. Eleven tours are available in Spain, which spotlight the pristine Andalusia mountains, the medieval villages and Mediterranean coast of Catalonia, the dramatic volcanic landscape of the Canary Islands, the castles and vineyards of Catalan and the island of Majorca. For advanced cyclists, Hertzberg adds that Girona’s Best Road Riding Tours (both point to point as well as based in one hotel with daily loop tours) are popular for cyclists who don’t want to lose form on the bike over the cold winter back home. While North Americans and many Europeans are enduring the winter, south-of-the-equator destinations are in full-blown summer. BikeToursDirect offers several bicycle tours in South Africa with year-round departures, including the “South African Cycle Safari” and “Cape Town and Winelands” tours, which are operated by locally-based Bike & Saddle, one of BikeToursDirect’s new tour partners. Heading a little deeper into the Southern Hemisphere, BikeToursDirect offers four bicycle tours in New Zealand, which feature rainforests, glaciers, mountains, national parks, geothermal spas, islands, caves and volcanoes. Other winter tour options include the Islands of Seychelles in the Indian Ocean; the Nile River Valley in Egypt; the ancient Chiang Mai region of Thailand; and the bustling cities and rural districts of Vietnam. BikeToursDirect will unveil additional winter destination tours for 2012 when it launches a new website this fall.